New York (TADIAS) – Last month musician Gabriel Teodros was highlighted at ‘TEDx Talks’ in Seattle. 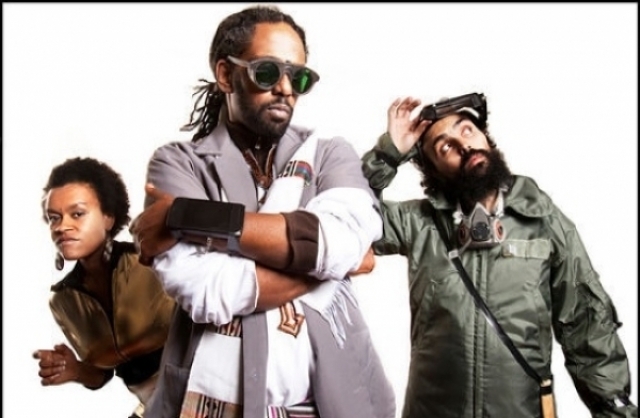 The artist was part of the Ethiopian American sci-fi trio CopperWire that earlier this year produced the futuristic album Earthbound. The hip-hop space opera takes place in the year 2089 featuring three renegades from another world who hijack a spacecraft and ride it to Earth, and eventually land in Ethiopia. The following is a video from the event that took place at TEDxRainier in Seattle on November 10, 2012. Gabriel performed and told his personal story as an artist, culturally mixed heritage and his relationship with his parents — a mother who is an immigrant from Ethiopia and a father who is a Vietnam veteran from Duvall, Washington.